There are several different ways of making Pumpkin Protein Pie. I’ve published quite a few recipes, like this one, this one, and the one found in this post here. I’ve even created a recipe for Pumpkin Protein Pie Bread. Unusual, I know, but really tasty! Check it out. My favorite kind of Protein Pumpkin Pie though has got to be my crustless protein pumpkin pie. Why? Because it’s unbelievably easy and delicious! It’s also crustless which means it’s really quick to make and completely fuss-free. I actually created this recipe for Thanksgiving last year, in what turned out being only a couple of days before I had my baby! It was PERFECT timing because I ended up having a slice of protein pumpkin pie the first few weeks post-pregnancy when there was little time to cook. I was so grateful for it! Because not only was it delicious; it was also really nutritious too, you know? Packed full of vitamin C, fiber, and protein! Below is that recipe. 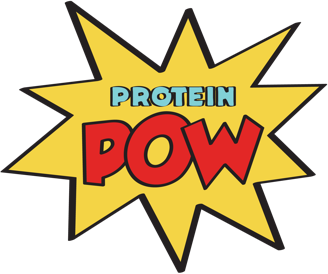 You can find it in the Protein Pow App too! I”m making it again this year (will post a photo on Friday). Note: If you’d like to add a crust to your pie, you can do that too. I made a version of it with a crust that was just ground almonds (about ½ cup) mixed with ¼ cup of honey/agave, 1 big tbsp of melted coconut oil, and 1/8 cup of almond milk, pressed together onto a non-stick pan and baked for 20 minutes at 170 C (around 335 F) before adding the pie filling to it and baking it as per the directions below (check out instagram.com/proteinpow where I posted a pic of the crust). 3. Bake at 170 C (around 335 F) for 35-45 minutes – just keep an eye on it and remove it from the oven as soon as your knife is clean after you poke the pie with it. 4. Let it cool completely before unmolding and slicing. Macros per slice (out of 16 – so, 8 slices per pie): 60kcals, 4g protein, 8g carbs (out of which 2g is fiber!) and 1g fat.